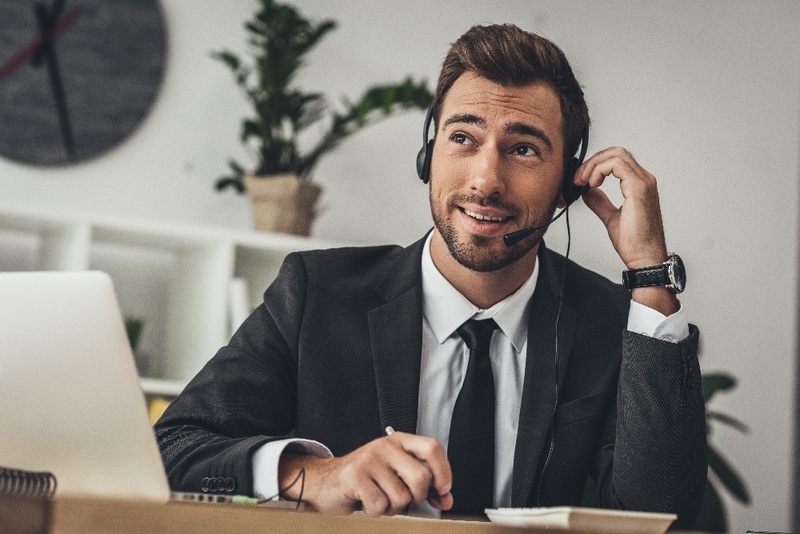 Sales calls are integral to inbound selling, but they have to be done right. Gone are the days of the cold call. Sales pros using pushy, interruptive techniques often find decision makers won’t give them the time of day. Still, that doesn’t mean the phone has gone the way of the dodo. Calls still happen, but they have a different role in the inbound selling process. A call might be used to build on the relationship you’ve established through warm prospecting. Or it may follow a lead’s request to set up a meeting. In many cases, the sales call is the moment of truth. It has a huge bearing on when (and if) an agreement moves forward. Although you can get many leads back after unsuccessful calls, it’s best to use them to build momentum. Luckily, there are basic principles you can use to knock your sales call out of the park. It’s simpler than it looks: Just three concepts to take with you into every call. 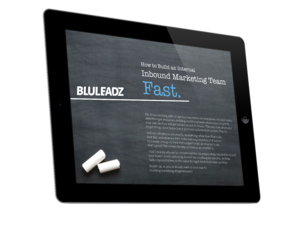 The inbound way of business is all about what you can do for others. That’s true for the sales team, the marketing team, and everyone else. To deliver value, you have to come into each call with a firm understanding of the resources you bring to the table. That means mastering your whole deck of solutions, not just the one you’d ideally like to sell. It also means knowing what’s in your web content library and how it relates to your customers. No matter what the outcome of a call is, your goal is clear: Position yourself as a trusted advisor on a topic that matters. If a lead trusts your advice, then he or she can come back to you in the future even if the time isn’t right for an agreement today. On the other hand, leads won’t be looking up vendors who only seem interested in selling something, whatever it might be, right away. Even helping your lead clarify buying criteria is a win. Before you jump on a sales call, consult any data you have about your prospect’s situation. There are three sources of information you’ll want to consult before the call starts. When a call is coming up, hit whatever published sources are out there. You’ll usually start at a company’s website, then branch out to its various publications: Investor reports and articles posted on third party websites, for example. From there, you’ll want to zoom in closer and see what your lead has been up to. The best place to begin here is LinkedIn. Not only can you uncover the career history and trajectory of your leads, but also get familiar with any content they’ve personally published. What’s the goal? Find trigger events – changes in the lead’s business situation that will make your solutions more valuable. For example: Mergers, acquisitions, launching new products, or opening new offices can all be trigger events. Only a vanishingly tiny fraction of users will reach out to sales without spending significant time on your website first. Check out your analytics data, especially sign-up forms like content requests and email subscriptions, to figure out how each lead has been engaging with you. This will help you tailor your discussion and get to the root of your caller’s problem faster. You can’t expect people to remember everything they read, of course, but you’ll know not to spend a lot of time rehashing things they’ve looked at recently. What if you’re talking to someone who already has a lasting, established brand relationship? Odds are good you have a treasure trove of valuable insights waiting in your CRM, especially if you’ll be discussing cross-selling and upselling opportunities. What products are your leads currently using? What have they contacted support over in the past? And what’s changed since the last time they made a purchase? If you’re in SaaS, then you can get even more data by diving into the company- and user-specific usage patterns of your software. This will tell you when leads are exceeding what their current service tier can do for them – an essential factor in framing any sales call. Once you’re equipped with all of this knowledge, what do you do next? Do power poses in front of the mirror? People love to talk about themselves. Listening is the best way to get them to lower their shields and recognize that you’re here to help – not just waiting for your turn to say something. Ask plenty of open-ended questions and don’t be afraid to reflect back what you hear in your own words. Pain points motivate action, but you should strive to go a step further. You need to pinpoint the associated costs from those pains or inactions. Let’s face it: Nobody likes to be in pain, whether that’s physical pain or stress from wondering if your business will succeed. But acting to change a situation has its costs. In business, that cost is spelled out in dollars and cents. One of your goals is to articulate those costs. That way, you can help your lead recognize that, sooner or later, the cost of inaction will be much higher than the investment it takes to change the way things are done. You can only do that when you can bring all the factors above together. You’re more likely to actually get that sale. You’re better prepared to deliver value your new customer will be thrilled by. In the long run, you’re building a foundation that helps retain customers. Have something to say on sales calls? Share your wisdom below!